"Three years ago, we had the privilege of hosting this prestigious event in Manila and it raised the international profile of the city as one of the key gateways of the country to the world. The positive feedback received from the delegates, organizers, and guests inspired us to bring this event once more to our shores. And we were thinking, what better place to host this event than Cebu?" DOT Secretary Bernadette Romulo-Puyat asked. With delegates being ushered in the arched timber terminal reception of the Mactan-Cebu International Airport (MCIA), they experienced the warm welcome of Filipino specifically from the Cebuanos complimented with amenities and festive welcome performances. 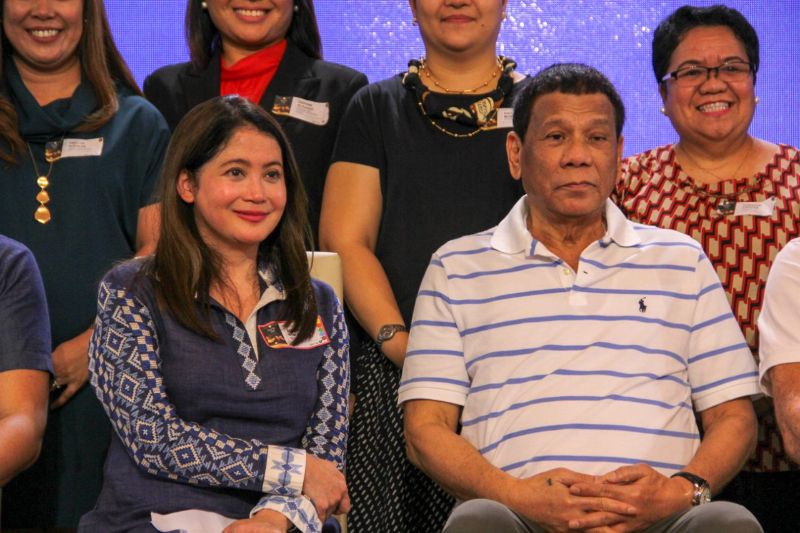 "I am in agreement with our President Rodrigo Roa Duterte when he said that with its elegance and resort-like feel, the gateway (MCIA) dubbed as the only "Resort Airport in Asia", is definitely the most beautiful airport in the country today," Secretary Puyat added. "Beyond the nice wood, the glass, the concrete, the airport really is a physical symbol of confidence in the market and in the destination. It&apos;s a physical symbol of the confidence of the aviation community, the travel trade, and what Cebu has to offer," Undersecretary for Tourism Development Benito Bengzon Jr. shared during the press conference. Members of the aviation community joined pre-event tours around the Queen City of the South, Cebu City, visiting heritage and cultural destinations including the Magellan's Cross and Fort de San Pedro. Other delegates went for the destination&apos;s sun and beach Mactan island hopping tour at Hilutungan and Nalusuan Islands. A number of delegates also feasted their eyes on the world-renowned Chocolate Hills, met the smallest primate at the Tarsier Santuary, and cruised the Loboc River in Bohol. An exclusive tour for the airlines executives and charter operators also showcased the best of the Central Visayas region. "This new gateway (MCIA) connects Cebu not only to the entire Philippines but to the world..The MCIA is the reason why our visitors have better access to the pristine beaches and a whole lot of fun activities that Cebu has to offer," Puyat added. On the other hand, MCIAA General Manager Steve Dicdican explained during the event press conference that "what makes Cebu different from all the other destinations is the friendliness..In our airport, we want to match that dynamic that&apos;s why we took up the strategic objective of being a passenger-friendly airport". Among the aviation key figures and route development regional movers and shakers that gathered in the Travel + Leisure second World&apos;s Friendliest Island, Cebu, were Routes Brand Director Steven Small, Department of Transportation (DOTr) Assistant Secretary Mark Steven Pastor, GMR Megawide Cebu Airport Corporation Chief Commercial Advisor Ravishankar Saravu, IATA Regional Vice President for Asia-Pacific Conrad Clifford, ASM Senior Vice President Consulting and Product Development Nigel Mayes, Philippine Airlines Vice President for Sales Ryan Uy and Cebu Pacific Air Chief Operating Officer Michael Ivan Shau. The Province of Cebu got to show off its proud performing arts and cuisine including Cebu lechon and its sweet mangoes during the Welcome Reception Dinner at Tent, Mandani Bay. "In the coming days, we hope you will enjoy the diverse range of settings that our hosts have provided to enable you to engage in meaningful discussions. You'll also have many opportunities to network while experiencing a taste of the famous Filipino hospitality," Routes Brand Director Steven Small said during the welcome dinner. discussions. You'll also have many opportunities to network while experiencing a taste of the famous Filipino hospitality.